On the 5th (Tue), learn about winemaking at Ghost Rock Tasmania. For more things to do, reviews, ratings, and tourist information, refer to the Devonport online trip planner . Adelaide to Devonport is an approximately 5-hour flight. You can also do a combination of car and ferry; or do a combination of train and ferry. In May, Devonport is little chillier than Adelaide - with highs of 17°C and lows of 5°C. Cap off your sightseeing on the 6th (Wed) early enough to go by car to Burnie. Burnie is a port city on the north-west coast of Tasmania. Kick off your visit on the 7th (Thu): examine the collection at Wonders of Wynyard Exhibition and Visitor Information Centre, then admire the masterpieces at Makers Workshop, then look for all kinds of wild species at Penguin Observation Centre, and finally identify plant and animal life at Fern Glade Reserve. To find reviews, traveler tips, ratings, and more tourist information, you can read our Burnie trip maker tool . Drive from Devonport to Burnie in an hour. In May, plan for daily highs up to 16°C, and evening lows to 3°C. 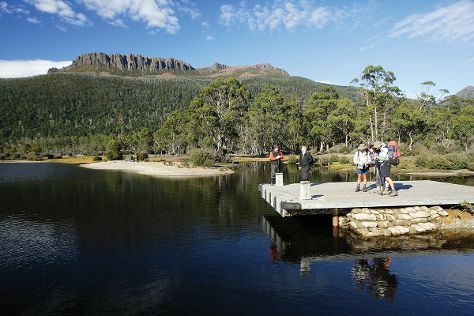 Wrap up your sightseeing on the 7th (Thu) early enough to drive to Cradle Mountain-Lake St. Clair National Park. Start off your visit on the 8th (Fri): take your sightseeing to a higher altitude at Barn Bluff and then contemplate the waterfront views at Lake St. Clair. To find maps, reviews, and other tourist information, use the Cradle Mountain-Lake St. Clair National Park trip itinerary planner . Drive from Burnie to Cradle Mountain-Lake St. Clair National Park in 3.5 hours. Finish up your sightseeing early on the 8th (Fri) so you can go by car to Launceston. On the 9th (Sat), identify plant and animal life at Tamar Island Wetlands, identify plant and animal life at Cataract Gorge Reserve, then snap pictures at Alexandra Suspension Bridge, and finally contemplate the long history of Brickendon Colonial Farm Village. Get ready for a full day of sightseeing on the 10th (Sun): learn about winemaking at Tamar Ridge Cellar Door, learn about winemaking at Moores Hill Estate, do a tasting at Holm Oak Vineyards, then stop by Goaty Hill Wines, and finally view the masterpieces at Design Centre Tasmania. For more things to do, photos, and more tourist information, use the Launceston travel itinerary planner. You can drive from Cradle Mountain-Lake St. Clair National Park to Launceston in 3.5 hours. Other options are to do a combination of taxi and bus; or do a combination of car and bus. In May, daily temperatures in Launceston can reach 16°C, while at night they dip to 5°C. Wrap up your sightseeing on the 10th (Sun) early enough to drive to St Helens. Kick off your visit on the 11th (Mon): get a new perspective on things with Boat Tours & Water Sports, browse the exhibits of Suncoast Gallery, enjoy the sand and surf at Bay of Fires Conservation Area, then stop by The Shop in the Bush, and finally learn about winemaking at Priory Ridge. To find ratings, photos, where to stay, and other tourist information, use the St Helens trip planner . Traveling by car from Launceston to St Helens takes 2.5 hours. In May in St Helens, expect temperatures between 17°C during the day and 5°C at night. 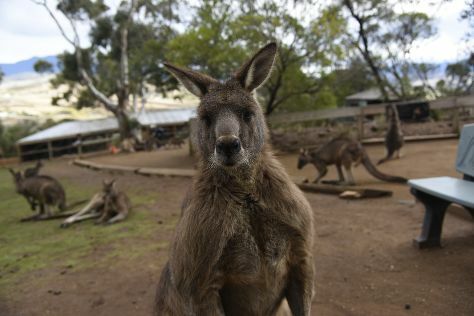 Cap off your sightseeing on the 11th (Mon) early enough to go by car to Coles Bay. 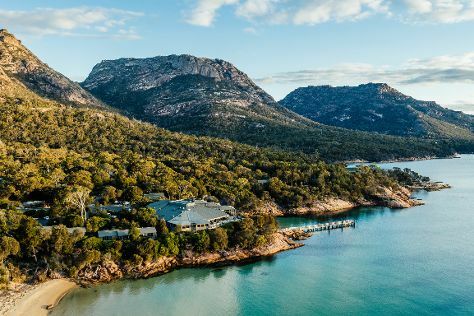 Start off your visit on the 12th (Tue): explore the wealth of natural beauty at Freycinet National Park. 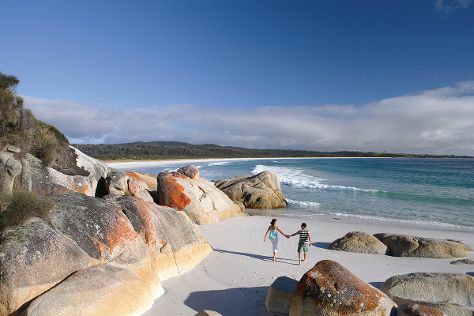 On the 13th (Wed), you'll have a packed day of sightseeing: learn about winemaking at Devil's Corner Cellar Door, learn about winemaking at Gala Estate Vineyard, let little ones run wild at Melshell Oysters, then take in the exciting artwork at Kings Fine Art Gallery, then enjoy the sand and surf at Wineglass Bay Lookout, and finally enjoy the sea views from Cape Tourville Lighthouse. To find other places to visit, ratings, where to stay, and tourist information, read our Coles Bay travel route planning app . You can drive from St Helens to Coles Bay in 1.5 hours. Cap off your sightseeing on the 13th (Wed) early enough to go by car to Port Arthur. On the 14th (Thu), contemplate the long history of Government Farm, get to know the fascinating history of Cape Raoul, then appreciate the extensive heritage of Port Arthur Historic Site, and finally take in the dramatic natural features at Tessellated Pavement. To see other places to visit, more things to do, and tourist information, read our Port Arthur trip planner . Getting from Coles Bay to Port Arthur by car takes about 3.5 hours. Other options: take a bus. May in Port Arthur sees daily highs of 18°C and lows of 7°C at night. Cap off your sightseeing on the 14th (Thu) early enough to go by car to Hobart. On the 15th (Fri), kick back and relax at Seven Mile Beach, look for gifts at The Wicked Cheese Co., look for all kinds of wild species at Bonorong Wildlife Sanctuary, then take a stroll through North Hobart, and finally buy something for everyone on your list at Cat and Fiddle Arcade. To find where to stay, traveler tips, maps, and more tourist information, you can read our Hobart online road trip planner . You can drive from Port Arthur to Hobart in 1.5 hours. Alternatively, you can take a bus. In May in Hobart, expect temperatures between 18°C during the day and 7°C at night. Finish your sightseeing early on the 15th (Fri) so you can travel back home. Seven Mile Beach, Bonorong Wildlife Sanctuary, The Wicked Cheese Co.